Today, I'm happy to feature an interview with Amy O'Connell, the Founder of the new quarterly literary journal Ever Eden. A mix of all things wonderful, wise and whimsical, Ever Eden promises to be a quarterly boost of inspiration for your mind, heart and soul. To sample the journal, download a preview of the first issue here. I hope you enjoy this chat with Amy that you discover for yourself what's between the covers of Ever Eden! Q: Amy, congratulations to you and your team on the launch of Ever Eden. Please briefly introduce yourself and your family to our readers. Thank you so much! I'm a wife to Ryan O'Connell who is a filmmaker for LifeTeen. We have three daughters. Our twins Adelaide and Clairvaux are 2 years old and our baby Isla is 10 months old. We live in Phoenix, AZ. I am a stay-at-home mom in the sense that I am the one who stays with our babies, while Ryan works a more traditional work day. 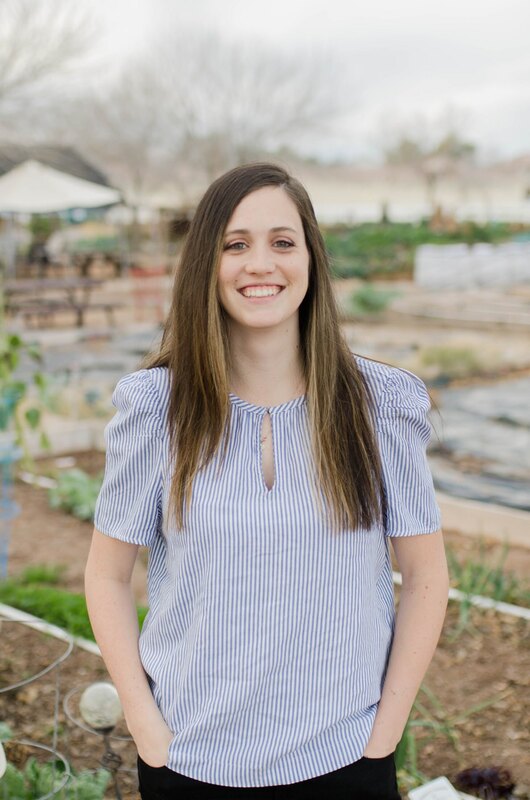 I completed my undergraduate degree at Arizona State University in 2014, majoring in communication with a special attention to performance, literary prose and poetry classes. I then started my MA in Theology from the Augustine Institute and just graduated this past May. Once I completed my degree my passion shifted to a project combining my love for creative literature with my love for beauty informed by my faith. It was out of this desire that the Ever Eden Literary Journal was born. I now run Ever Eden Publishing alongside my Co-Founder and friend, Natalie Tansill. Q: What will we discover in the pages of Ever Eden? Ever Eden Literary Journal is a collection of creative nonfiction, flash fiction, and poetry written by a cast of all Catholic women. Our readers will encounter thoughtful and moving pieces--from true, personal narratives told inventively in our creative nonfiction section, to bite-sized fictional stories in our flash fiction section, to formal and modern poetry. Each issue also contains a reflection. Some of the pieces explicitly concern aspects of the Catholic faith, though most do not. All of the pieces, however, are written by Catholic women whose writing flows from their knowledge of and identity in Christ. Readers will discover beautiful, new literature that moves them, that stirs within them wonder and brings them closer to their end. Q: What motivated you to create the journal, especially in an age when folks seem to be less interested in literary endeavors with the growth of social media. Why does a journal like this matter so much in today's world? I think the current culture of fast media is driven by our busy lives. We consume blogs and short, clickbait content because we convince ourselves that's all we have the time to read. We click on pretty designs that attract our attention, but rarely actually read something substantial. As a blogger myself, I know there is absolutely nothing inherently wrong with blogs, or even articles best surmised as clickbait. They often contain insightful or useful information. They help us know the best tips and tricks. They help us function in the midst of all our preoccupations. But when is the last time you read something that made you take a step back and just pause in its own beauty? People actually want to consume content that moves them in this way, but they do not know how it fits into their lives. Ever Eden Literary Journal is precisely the answer to this. It is a literary oasis that fits within the frame of people's busy lives. We have hand-selected beautiful, moving and thought-provoking literature, keeping in mind that each individual piece should be short enough to be read in less than 15 minutes. Take my life for example. I had three kids in 19 months. I usually only ever have a few minutes here and there to sit down and read something, so why not make it something beautiful that I can reflect on through the rest of the day? Ever Eden Literary Journal makes this possible. This was a huge motivation to me in creating the literary journal, and part of the reason I think our literary journal is so needed in today's world. I also was motivated by the idea of highlighting women's voices as important for all. I feel often that we, as the Church, have a token woman. She's there at Catholic teen conferences, and can conveniently do the ladies' session. She's there to grow women's ministries, and what she writes is marketed directly towards women. But what if we, as a Church, moved away from having a token woman and started highlighting the voices of women as important for all to hear--men and women, and really made it a point? What if we created something by women for the entire Church? This was another motivating factor for me in creating Ever Eden Literary Journal. Don't get me wrong, Ever Eden has many feminine touches, but it is not just for women to read. Everyone can enjoy it, and we hope everyone will. Q: What are some of the challenges you've faced in getting the project off the ground and what did you learn from them? We have faced many challenges and obstacles in getting Ever Eden off the ground. The first was just getting people to envision my dream and believe in me. One of the first things I did was find a strategic partner in Natalie Tansill. I pitched my idea to her and asked her to come in on it with me, and I am forever elated she said yes. She and I work incredibly well together. Our strengths are complementary. And to be honest, I think many of the hardships we encountered may have discouraged me to the point of giving up if it were not for Natalie. I also had to convince amazing artists, writers, poets and designers to trust me with their creative work and others to support our launch. Not everyone I reached out to saw the value; some even scoffed at me. I learned the importance of not letting any declinations stand in my way. Not everyone is going to see my vision or understand the importance--and that is okay. But there is an absolute fire burning in my heart for Ever Eden Literary Journal. I believe I have created something that is beautiful, moving and will bless people's lives. Some people do not share my dream and passion, but there are plenty that do and those are the people I want to be partnering with anyway. Some of the many other obstacles include finding the right designer after the first hire turned out to be a dead end which unexpectedly putting our launch off by more than a month, our first copies having a printing error and needing to be reprinted as well as a few snags with our website. With each bump in the road, although I faced disappointment, I never let it discourage me. As a matter of fact, each obstacle showed me how deeply I believed in the mission of Ever Eden and enlightened me to see the grace I believe God gave me to persevere to serve this purpose. Q: For anyone who may have an interest in writing, is it possible to get involved in contributing to Ever Eden? Yes, definitely! We are currently accepting submissions for our next issue. We have all the details regarding how to submit on our website: everedenpublishing.com. We also are looking for anyone to pitch us their manuscript. We are a publishing company, and are on the lookout for what could be our next project. Q: What are your hopes for the journal? As Catholics we know that Beauty brings us to Wonder, Wonder brings us to Wisdom, and Wisdom brings us to Love. 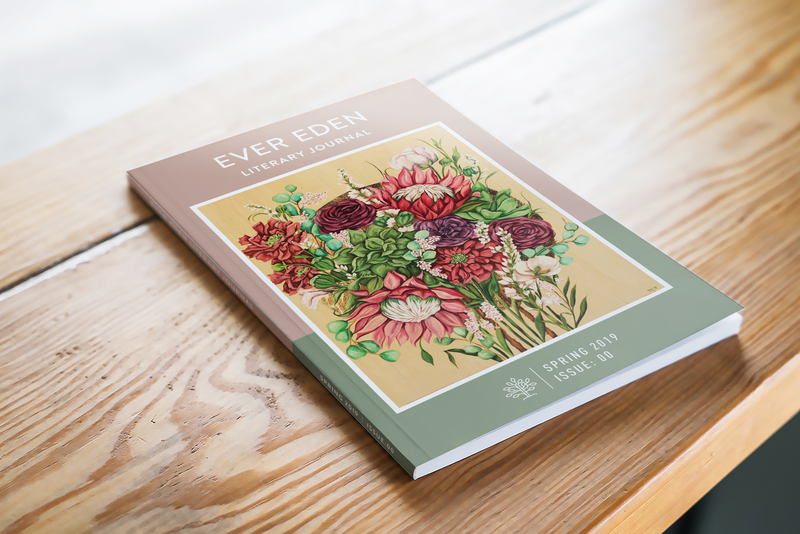 I hope that Ever Eden Literary Journal blesses the lives of many, by bringing beautiful and thought-provoking, faith-informed, and emerging literature to them. Q: How has working on Ever Eden blessed you spiritually? Working on Ever Eden has been one of the most treasured experiences of my life. I have been profoundly impacted myself, not only by the various pieces in the first issue, but also by witnessing the goodness of the Lord to plant such a desire in my heart and cultivate it to fruition. Q: Are there any additional thoughts or comments you'd like to share with our readers? We named both our publishing company and our first project--the literary journal--Ever Eden. Eden is the space in which God chose to place His creation, and it is a place of His rest--a rest in which God is ever working in us to our end. Knowing that people readily place their creations with us, hoping that God may use their words and talents to help bring people in some small way closer to Him, made us feel it was a fitting name for both endeavors.